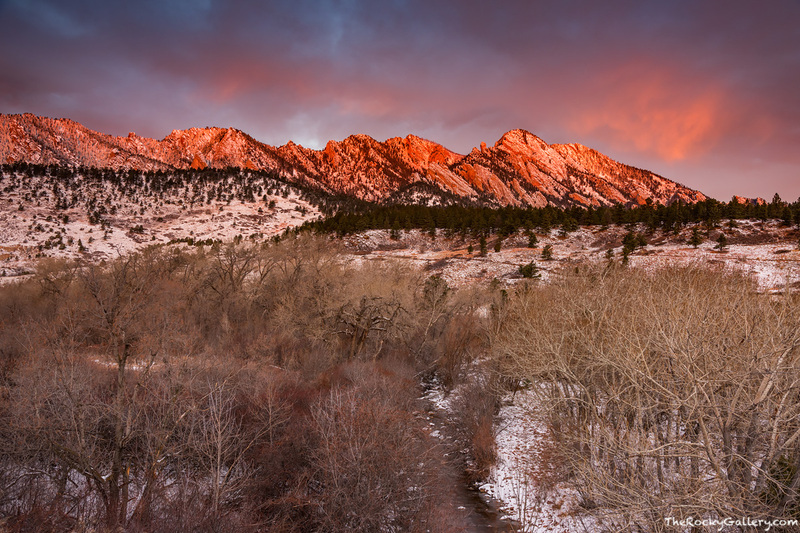 The Flatirons glow red as the first rays of sun of a new winter day illuminate these iconic monoliths. It's the first day of December in Boulder, Colorado and fresh snow still clings to the Flatirons and the banks of South Boulder Creek in this view near Eldorado Springs. Photo © copyright by Thomas Mangan.